April 5, 2016 4:34 a.m. I did 3DCoat-Houdini Applinker asset. 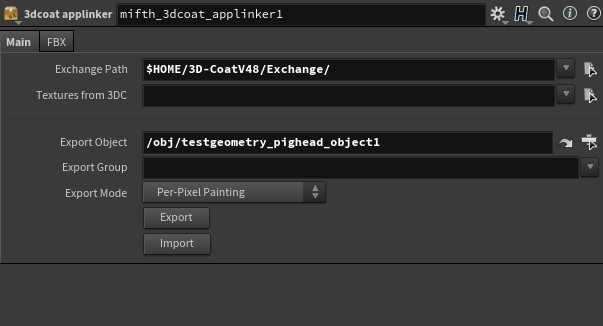 It's possible to export-import meshes and export textures from 3DCoat. Very useful for modeling and texturing artists. - Set the Exchange folder before exporting/importing. 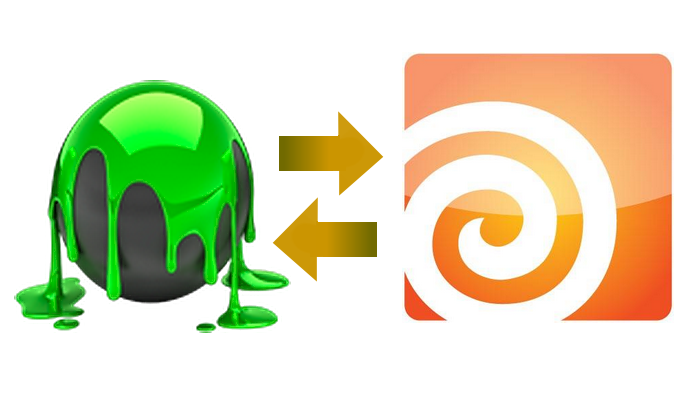 On linux it's at ‘home/user/3DCoatVersion/Exchange’. On Windows it's somewhere at user documents. 3DCoat creates such a folder itself. - Tested on Linux. If you have any issues on Windows then write me here. April 5, 2016 9:47 a.m.
April 5, 2016 5:54 p.m.
And! The asset is now at Orbolt! June 18, 2017 11:01 a.m.
Aug. 13, 2018 5:05 p.m.
Hi ya, this is a very useful tool. could you update it for H16.5 please? I've created a folder in 3dcoat 4.7.5 name ‘Exchange’ but it doesn't get accepted by the dialog box on selection. Aug. 17, 2018 5:43 a.m.
Actually it works in 16.5. All you need is just to copy the Exchange path. I'll fix it at Orbolt soon. Aug. 17, 2018 12:15 p.m. I have just updated the asset at orbolt. Aug. 22, 2018 12:01 p.m. Thanks man for your work! Sept. 11, 2018 5:39 p.m. I'm attempting to download it but I get an empty (0 byte) OTL file. I'm doing Manual Install btw, I can't install using Houdini at work. Sept. 11, 2018 9:57 p.m. Strange it works OK at home. Nevermind, must be a quirk with my work machine. Jan. 13, 2019 9:59 p.m.
Jan. 14, 2019 3:37 p.m.
Hi. I guess yes. If you set correct path. March 19, 2019 11:50 a.m. Seems to load in 17. Even though DL page states compatibility with versions 13 to 15.5. What am I missing? 17 is back compatible. Correct? March 19, 2019 11:51 a.m.
March 19, 2019 12:04 p.m.
March 25, 2019 4:18 a.m. Unfortunately can't get this to work with H17.5. Some Python error..
March 25, 2019 1:39 p.m. Thanks for the report. Let me test 3dcoat again. I'll download it and get back soon. March 27, 2019 7:05 a.m. I investigated the problem. H17.5 uses relative paths by default. Just make Absolute path for the node you want to export. I fixed relative path exporting. It will be V10 of the asset. The version 10 will be available at Orbolt in several of days. Thanks for the report. Let me if all works fine now. March 31, 2019 4:03 a.m. Thanks, I will give it a go and report back here.